Lately, I’ve come across some little snips of needlework news that I think are worth sharing with you – just bits here and there that I thought I’d pass on. You might find a little gem of information here that you didn’t know about – upcoming classes, a sale, supply news, another interesting video. First up, mainly because it’s time sensitive – and primarily for Australian readers here! 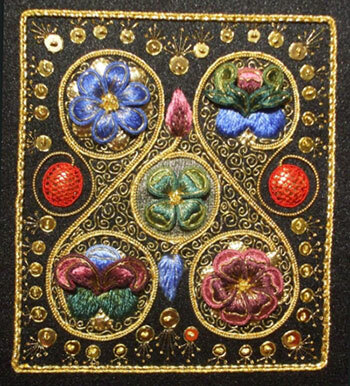 – this coming weekend, Alison Cole is teaching a goldwork and stumpwork embroidery class in the Brisbane area, at All Threads Embroidery. There are still some spaces left, so if you live in the area and didn’t know about the class – but you’re eager to take a goldwork & stumpwork class with Alison – this is a great opportunity. You can find the information here. The project Alison is teaching is this Siennese Illuminated Treasure design. Looks fun! They also have a UFO class scheduled, for folks who have started any of Alison’s designs and need some help or inspiration to get it finished! 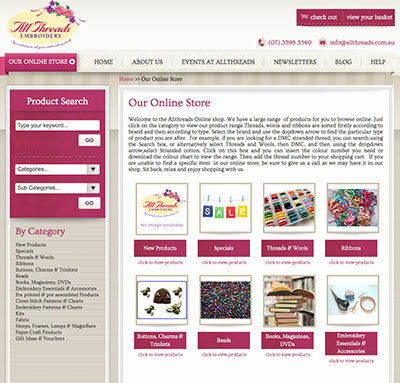 Incidentally, All Threads has a very nice online embroidery shop, too. They have a nice selection of hand embroidery fabrics (with some excellent linen choices available), a good variety of embroidery threads (including DMC floche and coton a broder, Soie d’Alger, Mountmellick threads, various wools and silks, Danish Flower Threads, and a whole lot more! ), a whole range of different types of embroidery kits, a good selection of embroidery hoops and frames (including Evertite stretcher bars), and a variety of needlework accessories and tools (including thread drops, decorative boxes for mounting needlework, needle minders, and this really cute tape measure holder!). Yep, I could go on and on. Good needlework shops are Way Better than candy stores! If you live in Australia and have been looking for an all-purpose needlework shop, and you’re not familiar with All Threads, it’s definitely worth checking out! I often receive emails from folks Down Under, asking where they can find certain embroidery supplies (like Evertite frames, or coton a broder, or floche, or Legacy linen) in Australia. Well… All Threads is a good place to look! No affiliation – just a happy discovery! You might remember these videos I shared with you last week about the scissor making industry in Sheffield. I love those videos! 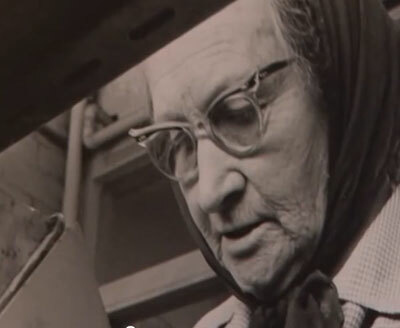 A fellow enthusiast sifted out another video about Ernest Wright & Son, this time from Paul Martin’s “Handmade Revolution.” The segment aired in October of 2012. The video is excellent, and it gets down to the nitty gritty on the history of the cutlery industry in England, its subsequent almost-disappearance, and the tentative nature of this type of industry today. 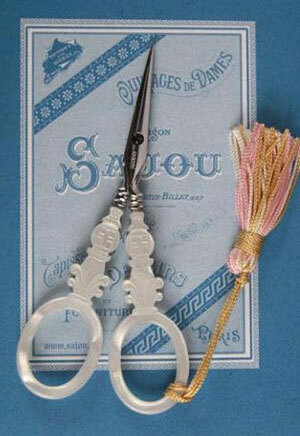 Speaking of scissors, over at The French Needle, they’re having a scissor sale through tomorrow, August 13. The sale is limited to stock on hand. By entering the code SCISSOR when you check out, you’ll get 10% off any scissors you’re buying. The French Needle carries some absolutely gorgeous specialty scissors for embroidery, and if you’ve had your eye on any of them, now would be a good time to indulge in a pair! I mentioned Alison Cole’s embroidery class in Australia above. It’s kind of a last-minute mention, so I can’t see too many of us in the States jumping on a plane and making it to Brisbane by Friday. Well… you could do it, but just. And there’s the jet lag and all that. Instead, why not look for Alison Cole in the States? And not just Alison Cole, but Jane Nicholas and Tanja Berlin as well? The EGA is sponsoring an International Teaching Tour featuring Alison, Jane, and Tanja this autumn, coinciding with the National Seminar. The three teachers will be traveling to various areas of the country to teach with different guild groups. You can find their tour schedules here. I’m awfully tempted to track down Alison’s classes for this project – her Rambling Clematis. It’s being offered at several of the tour stops. If you’re interested in finding out where these teachers will be (one may show up in a city near you!) and how you can get into their classes, check the tour schedule and contact the coordinator for the class. You do not necessarily have to be an EGA member to take classes locally with EGA guilds, but class spaces are usually open to members first, and the classes are usually a little less expensive for members. Taking classes like these locally (as opposed to at a regional or national seminar) is often a really good deal – it’s a lot less expensive (if you live in the immediate area, you don’t have hotel fees, for one thing! ), and the whole atmosphere is a bit more intimate. It’s a good way to get to know other stitchers in your area while taking a class from a world-renowned teacher. And lastly… Hand & Lock is coming to New York for three weeks of embroidery classes in November / December of this year. They’re offering three different modules: Introduction to Embroidery, Haute Couture, and Contemporary Goldwork. You can take an individual module, or you can take all three. You can find the information for the Hand & Lock embroidery classes in NY here. Each module is limited to twelve participants, and all the materials are supplied. Actually, I had a couple more tidbits, but I think we’ve reached Information-Glut Capacity. So we’ll save the rest for later! I live on the Clinton River just north of Detroit and because of the rains yesterday my home is an island. Thankfully I’m not dealing with a flooded basement or a sunken car, like so many others, but I’m stranded and not going anywhere. I’m not in the mood for housework (who ever is?) so, while pondering my options for the rest of the day, I started clearing my email. Now I see myself loosing time online drooling over beautiful scissors and watching videos thanks to you..LOL…one web site always seems to lead to another and another. Ahhhhhh, Kerry, sorry to hear of your plight, but I’m glad it wasn’t worse! Yep! I’m an AllThreads girl! Great recommendation. 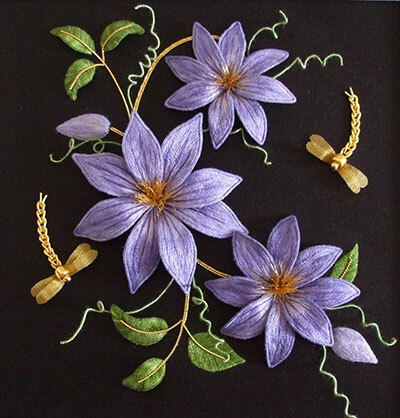 Alison Cole is teaching the Rambling Clematis in Indianapolis the end of October. I will be three states away because of a previous appointment. Boy, is that a bummer. Probably won’t be in Indy again (any of the three) for several years. Yet again, thank you Mary. I did know of the existence of All-threads and I have bought some things from them but I don’t necessarily think of them first up, and perhaps I should. I was very impressed with the Ernest Wright video you sent the first time and so I ordered some embroidery scissors from them. They haven’t arrived yet (surprise, surprise), have yours? And if so, what do you think of them? Because of that it will have to be a case of get thee behind me Satan for the French sale. Next Next post: Initials, Ciphers, & Monograms, Oh My!